From Wake County, he enlisted in (then) Ramseur's Battery in 1861 and first saw combat in Virginia in Spring 1861. He was in action with the Battery at Sharpsburg. He served through the War to the surrender at Appomattox Court House. 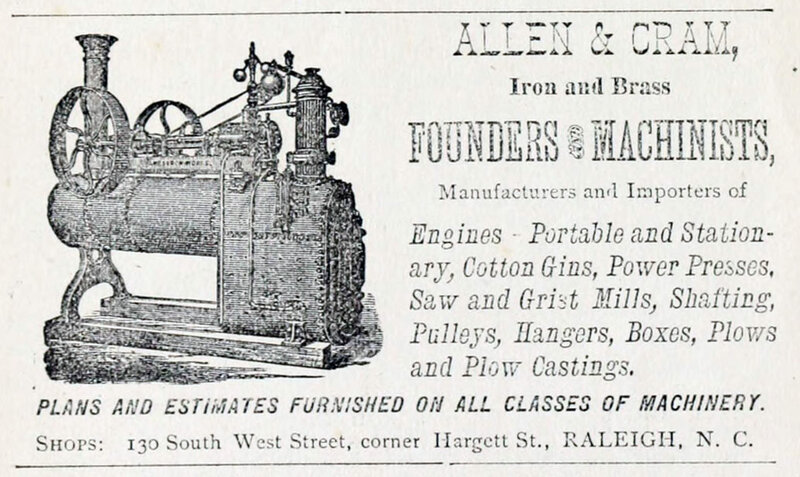 He was briefly a farmer and railroad section master in Wake County, North Carolina, before moving to Raleigh in 1875 and going into the foundry and machine manufacturing business as Allen & Cram. Biographical information and his presence at Sharpsburg from the Military History1. Business information from a Raleigh City Directory for 1883.